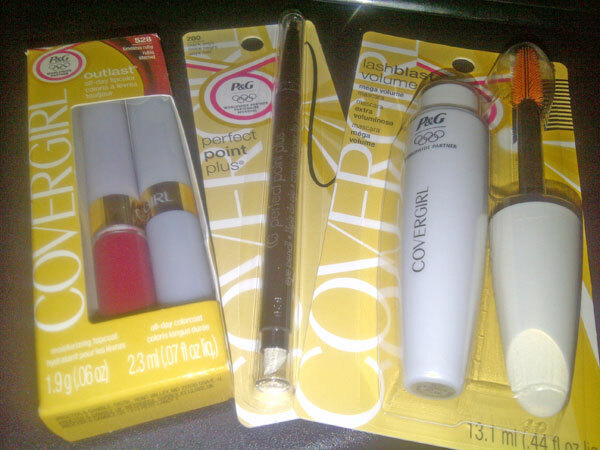 Home » CoverGirl Olympic Games Limited Edition Products! CoverGirl Olympic Games Limited Edition Products! I thought this was awesome! CoverGirl’s LashBlast Volume Mascara and Outlast All Day Lipcolor are both now available in special limited edition packages to honor the powerful women that will compete for the gold in this year’s Olympic Games! Tune in to the 2012 Summer Olympic Games (starting on July 27th) which takes place in London this year to cheer on TEAM USA as they go for the gold! Women’s boxing is actually making its Olympic debut this year too! And don’t forget to get your Limited Edition CoverGirl products right now before it is too late as well! The Olympic competition only happens every four years, so it will be gone before you know it!